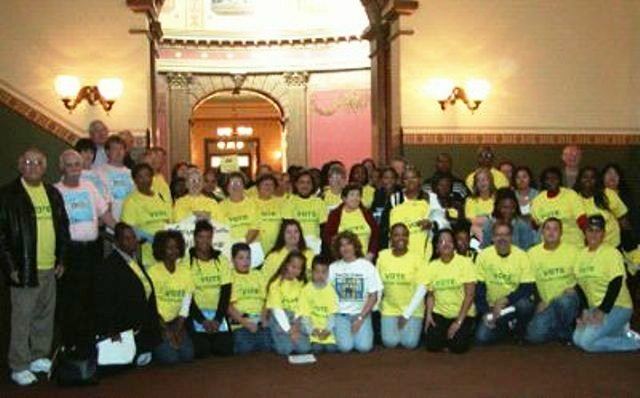 Families AND VICTIMS of Michigan’s juvenile lifers packed the State Captiol in 2006 to lobby for legislation to outlaw juvenile life without parole. No such laws were ever passed. Now Michigan Atty. General Bill Schuette is fighting every attempt by juvenile lifers to be re-sentenced as the U.S. Supreme Court mandated in Mlller v. Alabama/Hobbs v. Jackson. Last summer, the U.S. Supreme Court finally banned mandatory life sentences for juvenile offenders, including Michigan’s Draconian juvenile-lifer law. Yet some states with these practically barbaric laws continue to resist efforts to bring their criminal justice systems in line with the Constitution. They should move expeditiously to rehear and resentence the nation’s 2,600 juvenile lifers. 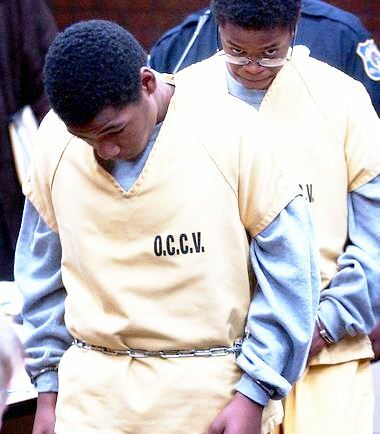 Thomas McCloud, Jr. and Dontez Tillman of Pontiac, Michigan were sentenced to life without parole at the age of 14 four years ago. More than 350 juveniles, some as young as 14, have been sentenced to life without parole in Michigan — among the most in a nation that stands alone in imposing such sentences on children. Michigan ranks second only to Pennsylvania, which has 475 juvenile lifers. Others in the top ten include Florida with 355 juvenile lifers, Louisiana with 238, and Illinois with 98. The Supreme Court ruling affects 28 states. Ohio does not have a mandatory juvenile lifer-without-parole law, although it does have 38 prisoners under the age of 18 among its 49,000 inmates. States with mandatory juvenile lifer laws should try to remedy these injustices as soon as possible, by rehearing the cases of those who are currently convicted, and enacting constitutional sentencing laws for future cases. In Michigan, bills that would enact new juvenile sentencing laws have not been introduced. The state’s attorney general, Bill Schuette, maintains that the Supreme Court ruling applies only to new offenders and juvenile lifers who haven’t finished their appeals. Nonsense. Those who were sentenced under a law that has been deemed unconstitutional should, at the very least, get a second look. Michigan’s juvenile lifer law covers homicide cases only, but nearly half of the state’s juvenile lifers didn’t actually kill. Instead, they were convicted of aiding and abetting the crime, which can mean little more than being at the scene or some other peripheral involvement. The Supreme Court ruling requires judges to consider the backgrounds of individuals and details of their crimes before sentencing. Sentences can’t be automatic, as they were in Michigan. Banning such laws is consistent with science, logic, and common sense. Medical brain-imaging research has proved what every parent knows: Teenagers are more impulsive than adults, even without the abuse and neglect many young offenders have experienced. Juveniles don’t possess the same rights and responsibilities as adults because of their maturity levels. Imposing adult penalties on someone who is too young to buy a pack of cigarettes legally is irrational. Despite compelling legal, moral, and practical arguments, Michigan lawmakers have failed for more than a decade to abolish the state’s Draconian juvenile lifer law, enacted in the 1980s, even though repealing it would not, in itself, release a single prisoner. A new law would only give juvenile lifers a chance to earn a parole after they serve lengthy sentences. Many juvenile lifers in Michigan have already served decades in prison. Two-thirds are African-American. Michigan is not the only state that is dancing around the high court ruling. Iowa’s governor commuted mandatory life sentences for his state’s juveniles — on the outlandish condition that they stay in jail for 60 years before they seek parole. That’s tantamount to the life sentences the high court outlawed. Fighting the Supreme Court decision with unjustifiably narrow legal interpretations, or sidestepping it with unreasonably lengthy minimum sentences, will neither pass constitutional muster nor move states out of the Dark Ages.